Paint Protection for cars which are more than 6 months old, we provide Paint Correction Treatment. Which involves either the hand or machdata:text/mce-internal,ine application of varying grades of cleanser, polish or compound. 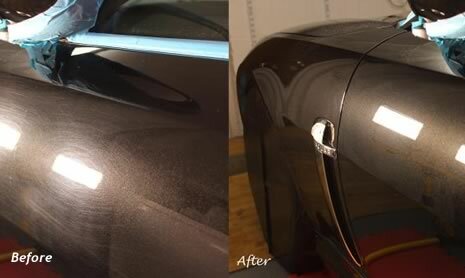 The majority of work is usually done with rotary machine polishers to get the best level of correction.Good paint correction requires a high degree of skill and concentration, but done properly, it really can transform the look of a car by dealing with (among other things); hard water marks, etching caused by bird muck or fly squash, swirl marks, scratches and fading.